Fabricare 2016 is scheduled to take place from August 26th to 28th at the Long Beach Convention Center. Kicking off the educational programs early on Friday will be Route Pro James Peuster who will offer “Five Ways to Uncover/Discover Hidden Talent in Your Staff.” The program will run from 10 a.m. until 1 p.m. Afterward, Diana Vollmer of Methods for Management will discuss “Getting Your Time on Your Side of the P&L” from 1 to 4 p.m. The Friday programs are not included with the admission to Fabricare 2016. Discounted rates are available for Association members who wish to attend, $75 for one session, or $125 for both. Non-members rates are $100 for one session or $150 for both. The exhibit hall at the Long Beach Convention Center will be filled with aisles of the latest in drycleaning technology and services. It will open on Saturday morning at 9 a.m. and close at 5 p.m. that evening. On Sunday, the exhibit hall hours will be from 10 a.m. until 4 p.m. The Saturday morning educational sessions will feature Trudy Adams of Blue Egg Consulting and Jibit Cinar of the Cepkinian-Cinar Law Group. Later in the evening, CCA will host its President’s Reception from 5:30 to 7 p.m. There will also be a solvent panel discussion that morning and cleaners can take advantage of various live demonstrations and clinics that will take place throughout the show floor. 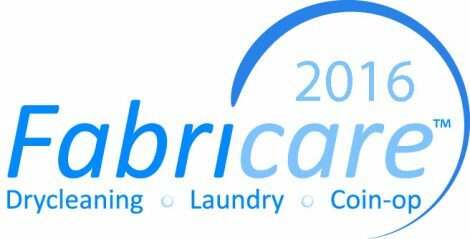 Registration for Fabricare 2016 is free for all CCA members. Full registration and individual packages are available for non-members. Registration opens May 15th. Discounted hotel room rates are available through a July 31st deadline. Rooms at the host hotel, the Hyatt Regency Long Beach, cost $199 for those who call (562) 491-1234 and make reservations while mentioning the CCA show. Also nearby is the Renaissance Long Beach at 111 East Ocean Blvd with rates of $179 per night for those who call (562) 437-5900 and mention Fabricare 2016. For more information or to register, call (215) 830-8467 or visit www.calcleaners.com.